Jenelle is just two weeks away from her due date now and she’s pretty anxious for baby Kaiser to make his appearance. “Come on Kaiser.. It’s time to drop now… Lol stubborn like yr daddy.” She tweeted earlier today. 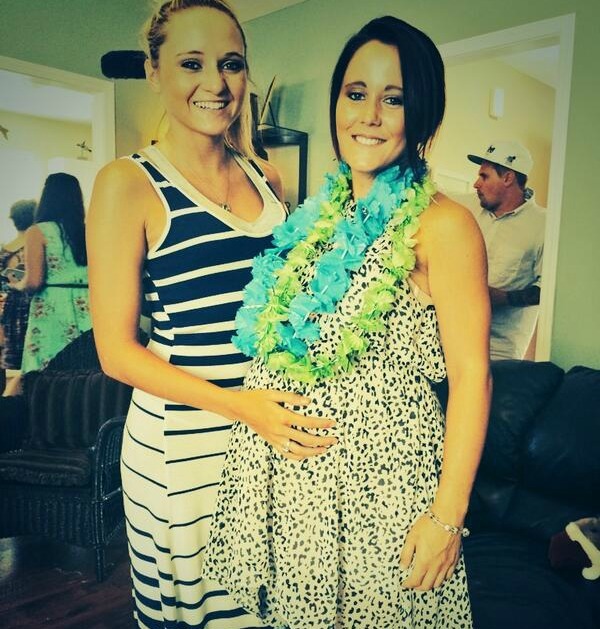 It’s a good thing Kaiser is staying put for now though because Jenelle had her second baby shower today. Our favorite ‘Teen Mom’ grandma Babs threw this shower for Jenelle at her home in addition to the shower recently thrown by Nathan’s family. The timing is a little bit odd considering it’s Father’s day and most people have plans for today but it looks like she had a great time just the same. Previous Previous post: Adam Lind Spends Father’s Day with Aubree at the Zoo! Next Next post: VIDEO! The ‘Teen Mom 2’ New Season Trailer! !